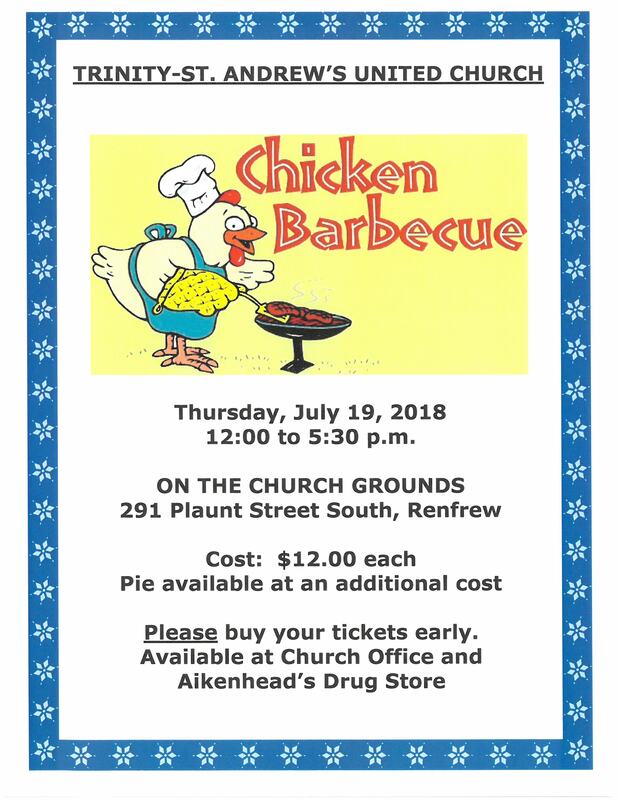 Our annual Chicken Barbecue is scheduled for Thursday, July 19, from 12:00 to 5:30 on the church grounds. Tickets are now available at the church office, and at Aikenhead’s Drug Store. Tickets are $12.00 each, with pie available at an additional charge. PLEASE get your tickets early! For more information, please contact the church office at 613-432-2285.